Pledging to be India’s first Uber for beauty and wellness, HiJinny.com, a marketplace for home based beauty and wellness services, has recently raised angel funding from CMYK Health Boutique Pvt Ltd., Founders of Four Fountains Spas and Jazz up Salon. The marketplace provides wellness professionals, who are trained and vetted to deliver quality services, to the doorstep of a consumer. Pune-based start-up HiJinny is head-quartered in Bangalore and has elaborate plans to spread its presence in other big cities soon. 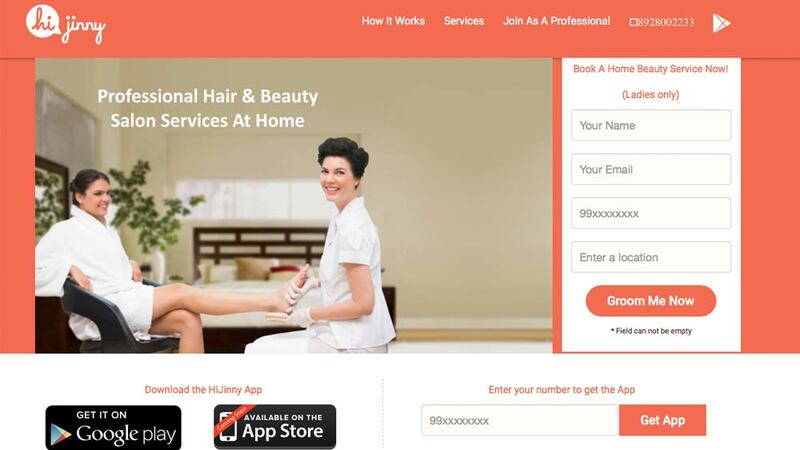 Equipped with strong domain and consumer knowledge of the salon and wellness industry, HiJinny.com is a pivot of Jazz up salon to capture the growing market of at-home beauty services by ensuring a quality experience through use of high quality products and standardised operating procedures. Founded a few months ago by SP Jain Alumnus, Konark Gaur and IIT Alumnus, Kalpesh Balar, it’s already seeing strong traction. Founded by entrepreneur duo Konark Gaur, Ex-Nestle and TCS Executive and Kalpesh Balar, IIT alumnus and Ex-CTO of Nykaa.com, who has identified a growing need amongst time constrained consumers to have access to salon services at-home without compromising on the quality part. “This model addresses the current pain points of both the customers and the service providers beautifully and will not only change the landscape but also help grow the market substantially,” said Gour. Significantly, the start-up house hair and beauty innovative products like portable hair wash station, pedicure tub, foldable mirror, etc,. that helps them to translate the in-salon experience into at-home more effectively and at fast pace. The marketplace has also launched Android mobile app for both consumers and service providers, which support both the on-demand by connecting real-time to the service provider and the planned services through an intuitive selection process, convenient payment system and a rating and feedback mechanism which would help control the quality. Beauty & wellness services market in India is a large opportunity and is slated to grow rapidly with consumers showing a high degree of repeat usage and increase in average ticket size. Smart Android app to order medicines..